The issue . . . . Approximately 800,000 people in the UK have dementia. It occurs when the brain is affected by a disease. Recently this illness has 'emerged from the shadows'. There is more to a person than dementia and with the right support these people can enjoy an active life. Our aim . . . .
More than 70 families in the Heatons are affected dementia. We aim to promoting a dementia friendly community by providing a safe, comfortable and supportive environment, enabling friendly social interaction in a relaxed atmosphere. 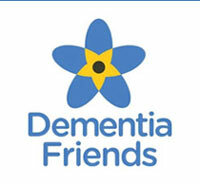 Dementia Friendly Heatons in Stockport . . . .
At Heaton Moor United Church (H.M.U.C) we are promoting a dementia friendly community and with this in mind we are running a very popular 'Friday drop-in' for people living with dementia and their carers. 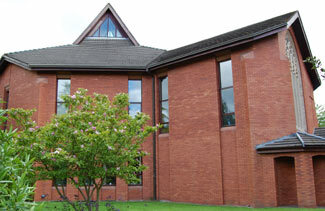 As well as giving support, we will provide information sessions from visiting professionals. We also arrange fun activities (including singing, table tennis, board games, etc), events and trips appropriate to people's needs. 'Friday drop-in' - come along, enjoy a drink and a chat . . . .
You are most welcome to join us on Friday afternoons from 1.30 to 3.30.